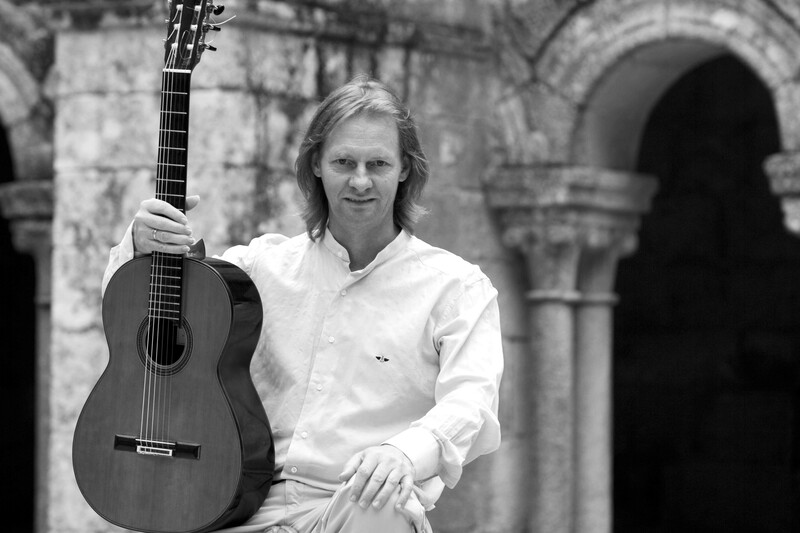 David Russell is one of the most outstanding personalities in the world of the classical guitar. For many years, he has been ethusing his audience with his unmistakable personal style full of charm, spirit and distrinctive sound. David Russell was born in 1953 in Glasgow, Scotland. His father was his first teacher. When he was only 17, he entered the Royal Academy of Musicin London to study with Hector Quine. A scholarship enabled him to continue his studies with José Tomas in Alicante, Spain. David Russell now lives in Spain and undertakes extensive tours all around the world. He is one of the few concert guitarists who has won a Grammy in the category "Best Instrumental Soloist Performance". In addition to countless other awards, he received the title "Fellow of the Royal Academy of Music" in 1997 in recognition of his exceptional talent and international career. As a teacher, he has an excellent reputation built up over many years. Guitarists from all over the world come to Nürtingen in order to benefit from a master class with David Russell.